Long before consumers had the option of buying foods and products at local supermarkets, farmers' markets of all sizes and locales were providing healthy, locally grown food to consumers. 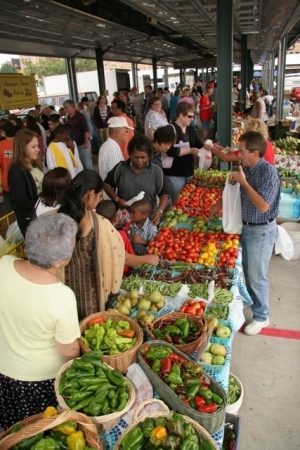 Missouri is home to more than 200 farmers' markets located in communities across the state providing a rich variety of homegrown fruits and vegetables as well as locally produced goods such as dairy, eggs and meats. Markets across Missouri offer consumers healthy, yet affordable, alternatives to the typical supermarket experience. Whether you are seeking healthy, high-quality foods and products, looking to add a variety to your everyday cooking or looking for a fun shopping experience, Missouri farmers' markets will have something for you this season.